At the 2015 IPCPR Trade Show, Crux Cigar Company launched several new lines: Crux Sports, Crux du Connoisseur No. 2. Crux Limitada PB5, and the Crux Guild. 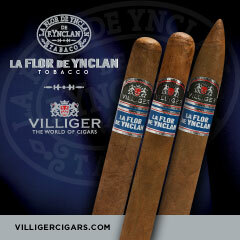 Over the past three months these cigars have begun reaching retailers. Last month, the Crux Guild was the last of the three to reach the market. For the Crux Guild, this is a line that has a theme – namely it pays homage to the “craftsmanship and history of cigars as a hand made product which allows each person who enjoys them to be ‘United by the Leaf’.” Recently I’ve had an opportunity to smoke the Crux Guild in the Toro Extra Marblehead BP vitola. 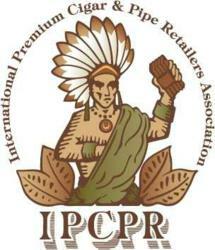 As a whole, I have found that the Crux releases launched at last year’s IPCPR elevated a company already doing great work to another level. Perhaps Crux saved the best for last as the Crux Guild could be the company’s best release to date. 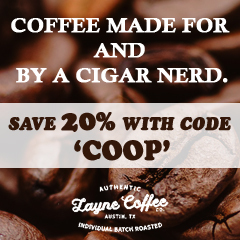 For folks who are not familiar with Crux Cigar Company, it was founded by Jeff Haugen and Joel Rogers, the owners of Tobacco Grove in Maple Grove Minnesota. The duo has looked to build on their experience on the retail end as they enter the world of manufacturers. The company launched a little over two years ago. 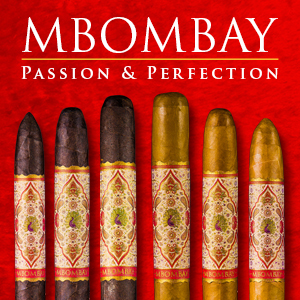 Since then, the company has built an impressive portfolio of cigars. In fact, The addition of the Crux Guild brings the total number of offerings to ten – this includes nine regular production lines and one limited edition line (the PB5). 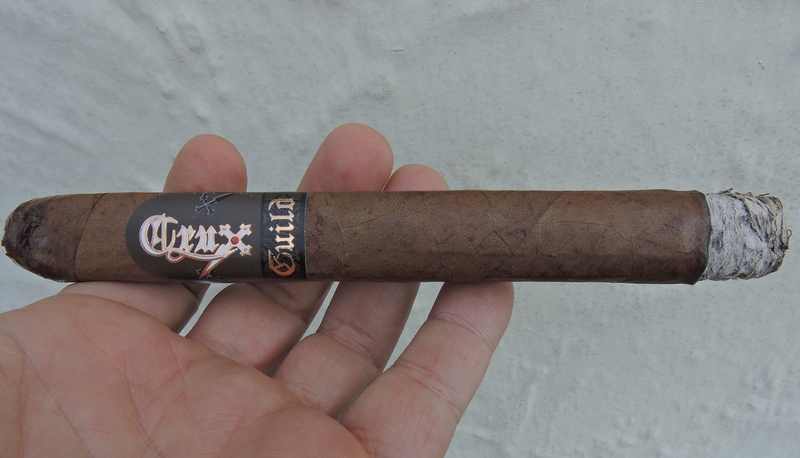 Without further ado, let’s break down the Crux Guild and see what this cigar brings to the table. As with its other cigars, the Crux Guild is made at the Plasencia Cigar Factory in Esteli, Nicaragua. The Crux Guild is being launched in five sizes. The Toro Extra Marblehead BP differs from the other vitolas in that it is box-pressed and features a “Marblehead” style cap. 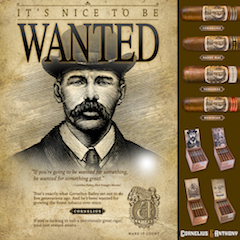 Marblehead is term used by Crux for a cigar that has a belicoso-style tip that is flat at the head – similar to the 109 style cap. 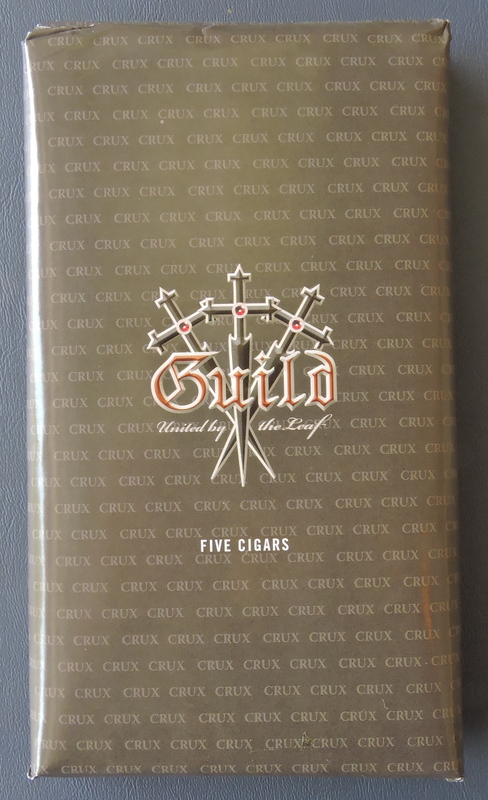 The Crux Guild incorporates some of the unique packaging that has been seen across many of its other lines. The Guild comes packaged in 20 count boxes, but those 20 count boxes consist of four five packs. This gives retailers the option to sell by the box, by five packs, or individually. The Ecuadorian Habano wrapper of the Crux Guild Toro Extra Marblehead BP has a chocolate brown color. Upon closer examination, there is some darker marbling that can be seen on the surface. The wrapper itself also has a light coat of oil on it. There are some visible wrapper seams, but the darker color of the wrapper does a good job at hiding the wrapper seams. 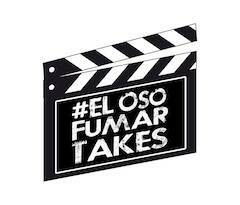 As for the box-press, this cigar has square shaped box-press. Finally, the marblehead cap is has a short, but steep taper – measuring about half an inch in length. The band to the Crux Guild features a brown background on the upper portion of the band. 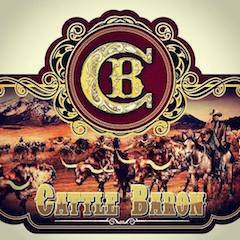 On this section of the band is the gold, white and red Crux cigar logo. There are two groups of black, red, and white swords to the left and right of the Crux logo. The lower part of the band is black with a brown design pattern On that pattern is the text “GUILD” in gold old-English style font. On the back of the band is a black, gold, and red “crusader-like” dagger. I opted to use a straight cut to remove the Crux Guild Toro Extra Marblehead BP. I opted to use my Credo Special T Cutter with the 36 ring gauge hole. 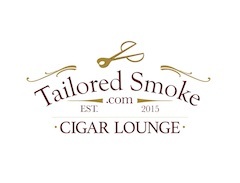 This would allow me to take advantage of the tapering effect from the cigar. The dry draw delivered a mix of earth, chocolate, wood, and a slight mixed fruit note. Overall I considered this to be an excellent pre-light draw. At this point, I was ready to light up the Crux Guild Toro Extra Marblehead BP and see what the smoking experience would have in store. The Crux Guild Toro Extra Marblehead BP started with some notes of chocolate, earth, wood, and mixed fruit. As the flavor profile of the Guild Marblehead BP took form, the cocoa and earth notes became primary. The wood notes transitioned to more of a classic cedar sweet-spice in the background. At the same time, the fruit notes transitioned to a raisin note. 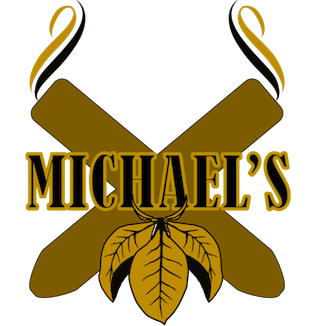 The retro-hale produced combinations of cedar, raisin, and white pepper in various permutations throughout the smoking experience. The first third saw the chocolate and earth as the primary flavors. Both of these flavors had a creamy component which kept the Guild Marblehead BP quite smooth The cedar notes were secondary. The raisin sweetness remained further back, but slowly increased. Meanwhile there was also a slight white pepper note that surfaced and also slowly started to increase. By the second third of the Crux Guild Toro Extra Marblehead BP, the earth notes slowly started to displace the chocolate notes as the primary flavor. Meanwhile both the raisin and pepper notes continued to slowly build up. By the midway point, I found the earth and raisin were now the primary notes. The chocolate notes were secondary with the pepper and cedar notes further in the background. There still was a nice amount of creaminess on this cigar. The last third saw the earth notes remain primary. 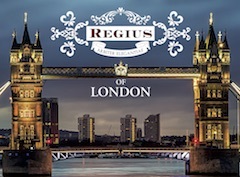 The cedar spices and pepper notes were now in the forefront varying at various degrees. I found the raisin notes subsided into the background with the chocolate. The creaminess diminished during this stage of the smoking experience. This is the way the Crux Guild Toro Extra Marblehead BP came to a close. The resulting nub was slight soft to the touch, but cool in temperature. 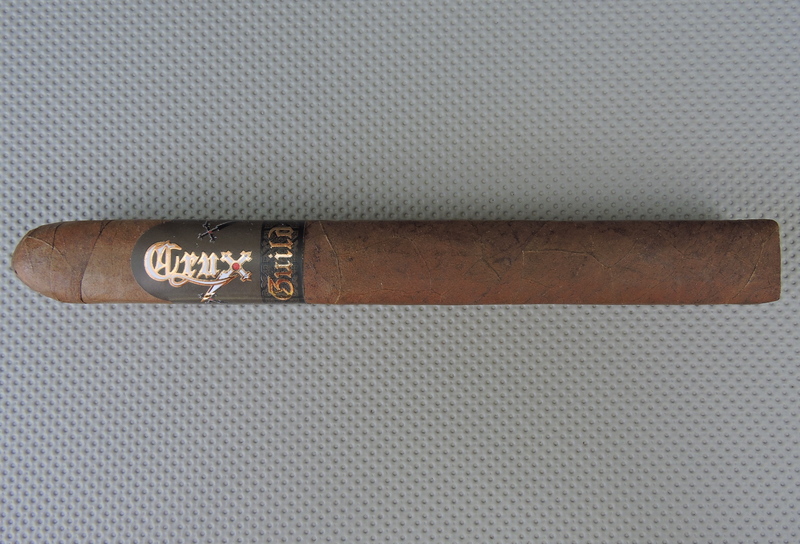 The Crux Guild Toro Extra Marblehead BP is a very well constructed cigar and has reflected nicely on the burn and draw. The burn path and burn line remained straight from start to finish. I didn’t find this was a cigar that needed an excessive amount of touch-ups. A silver-gray ash with some darker speckling was present. The ash itself was on the firm side. I also found the combustion to the Guild Marblehead BP to be excellent as the cigar had an ideal burn rate and ideal burn temperature. Draw-wise, I also found the Crux Guild Toro Extra Marblehead BP performed quite well. It was a draw that was not too tight, nor too loose. There was a nice amount of smoke production that came from this cigar. The Guild Marblehead BP was one of the stronger cigars I have had from Crux Cigar Company. Out of the gate this cigar was medium to full in strength. The strength slowly increased and by the second half, I found this was a cigar that was in the full strength zone. Meanwhile the flavors started out medium-bodied. These notes also increased gradually and by the second third, I found the flavors to be in the medium to full-bodied zone where they stayed for the duration of the smoke. 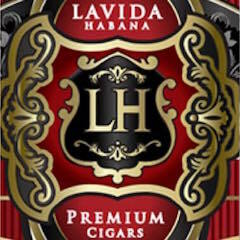 Overall, I found this to be a cigar where strength had the edge over body, but this should not be construed as a negative as I liked how the profile of this cigar meshed. The last twelve months I’ve really seen some great products come out of Crux Cigar Company. As I mentioned, the best might have been this most recent release as the Crux Guild Toro Extra Marblehead BP is an excellent cigar. From what I understand, co-owners Haugen and Rogers have spent a lot of time in the factory and no doubt the fruits of their labor are really paying off. The Guild is a cigar that fired on all cylinders – flavor, complexity, and construction. Overall, given it’s a stronger cigar, it’s one I would probably steer to a more experienced cigar enthusiast. 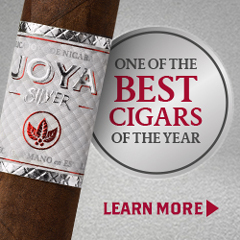 As for myself, this is a cigar I would smoke again – and it’s worthy of a box purchase.